People Training In Crossfit Gym. Jumping rope. 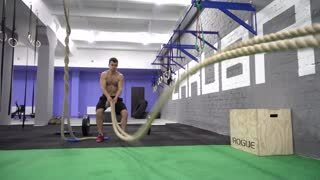 People Training In Crossfit Gym. Jumping on the Box. 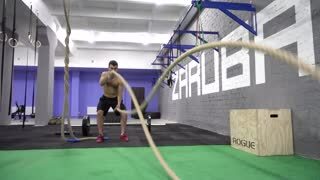 People Training In Crossfit Gym. Heavy rope swing.